It feels like the window of opportunity for modular smartphones has come and gone. Google’s Project Ara is dead, and LG gave up almost immediately after the release of the G5. 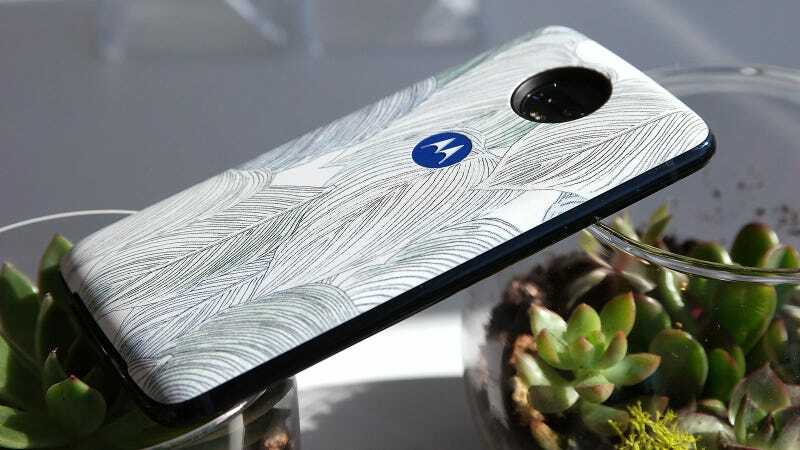 But then, off in its own little corner and now three generations deep, Motorola and the new Moto Z3 Play haven’t given up yet. 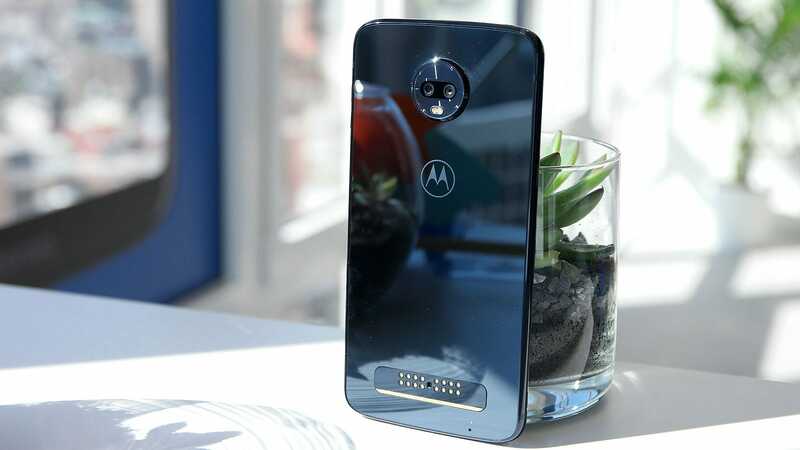 But then Moto takes things sideways by opting for a side-mounted fingerprint reader, which is really only found on a handful of Sony phones as of late, going light on battery capacity at just 3,000 mAh, and, of course, retaining that modular accessory mount around back. Without any mods attached, the Z3 Play looks pretty average. 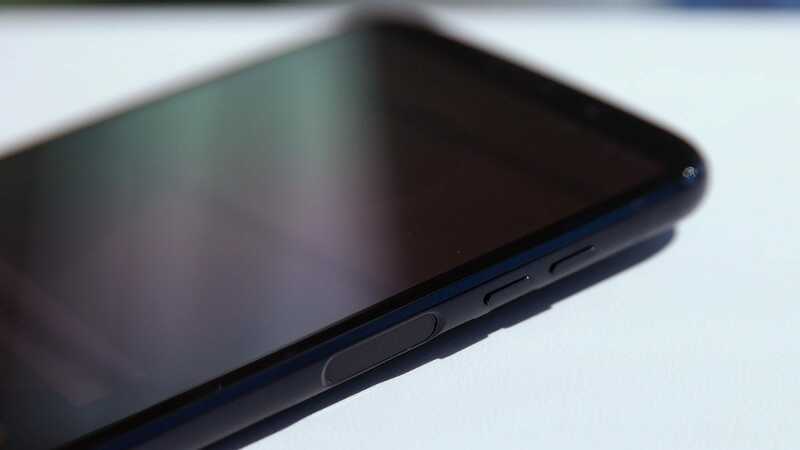 The Z3 Play’s side-mounted fingerprint sensor is a curious choice. 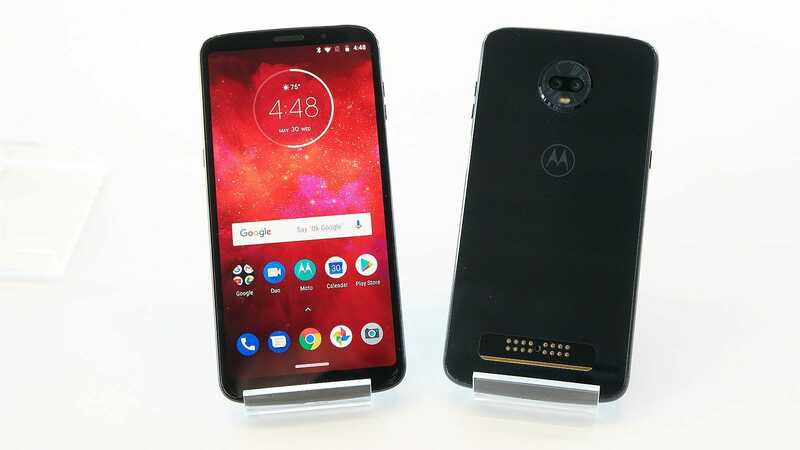 A lone USB-C port and no headphone jack could be a deal breaker for some, even though Moto provides a 3.5mm dongle in the box. The little Google Lens button in the camera app should make it easier to use one of Google’s most overlooked tools. 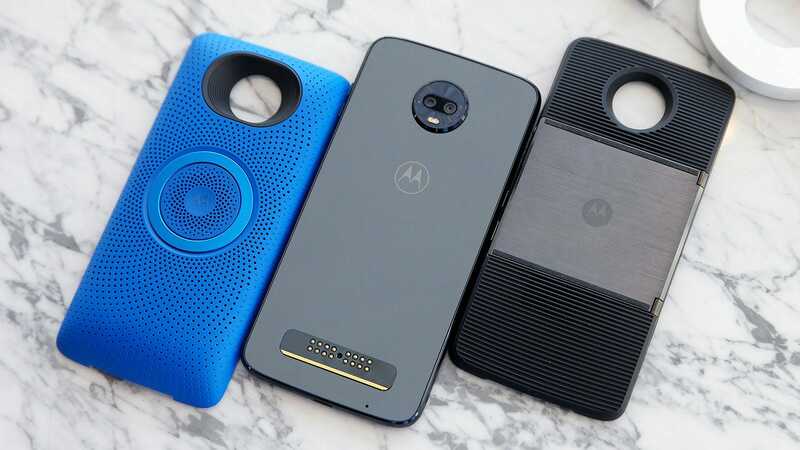 A sample of just a few Moto Mods. 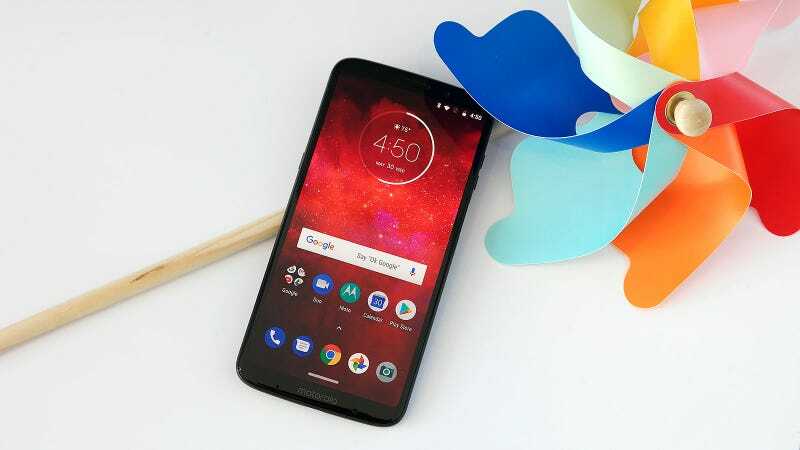 On their own, none of these decisions are enough to make or break a phone, but the choices are just different enough to remind you that Motorola is playing a slightly different game. That’s because the real selling point of the Z3 Play is Moto’s family of mods, that over the past two years has grown to nearly 20 different accessories ranging from simple Style Shells to £100+ smart speaker add ons with Alexa integration, all the way to camera mods designed in partnership with names like Hasselblad. Here’s what the Z3 Play looks like with the free Power Pack attached. 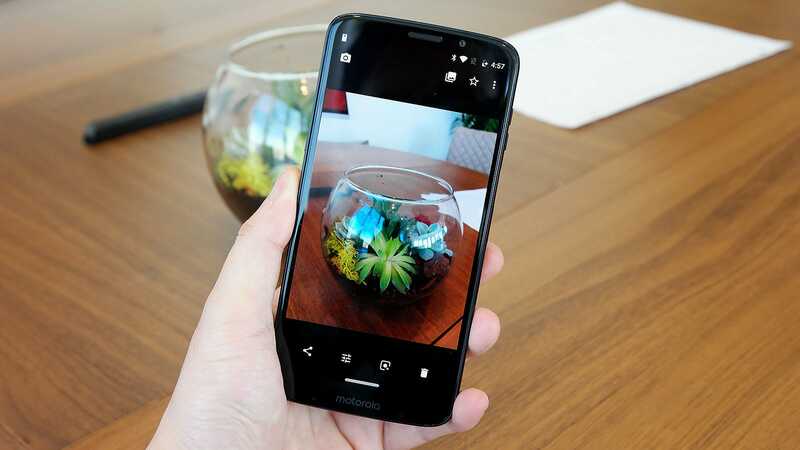 Colour and style of the actual mod that comes in the box may vary though. .
That means suddenly, what would otherwise be a fine, but not especially eye-catching device can be made slightly more attractive thanks to the Power Pack mod Moto is bundling with every Z3 Play. Besides looks the Power Pack also adds an extra 2,200 mAh of juice to the phone’s overall battery capacity. On the flip side, the included USB-C to 3.5mm dongle isn’t exactly the best way to make up for the Z3 Play not having a headphone jack. The whole point of gesture controls is to give back screen real estate, and Moto’s version is actually better than what’s in Android P.
As for controls, Moto has decided to skip over the gesture navigation Google has in mind for Android P, with its own, slightly improved implementation. Instead of Google’s “pill” button, there’s just a slim tab found at the bottom of the screen, which can be flicked in various directions to go back, view recent apps, and summon the Android app drawer, or simply tap to go home. As for the rest of the z3 Play’s software, Moto is smartly sticking with a near stock version of Android 8.1, and has even worked with Google to integrate Google Lens directly into the Z3 Play’s camera app. And for all those longtime Moto fans, the Z3 Play still supports Moto Actions, so you can turn on the phone’s flashlight to open the camera with a few simple hand motions. 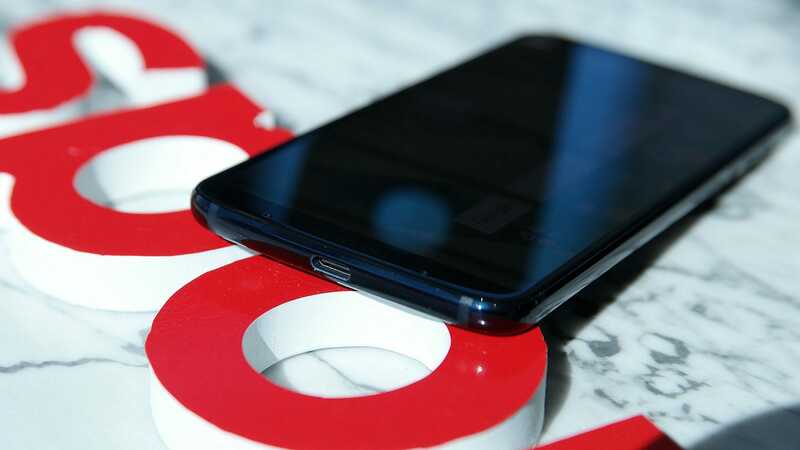 So in the end, when it comes to mid-range phones, what the Z3 Play lacks in overall performance when compared something like the OnePlus 6, Moto is hoping it can make up with mods. It’s an intriguing argument, especially now that every other phone maker has abandoned the idea of modularity, but I still have to wonder if slap-on accessories really delivers on what made the concept of a modular phone so exciting back in 2015.